Below you'll see pictures of some of the 10mm wargames figures that I have designed and sculpted for different companies over the years. 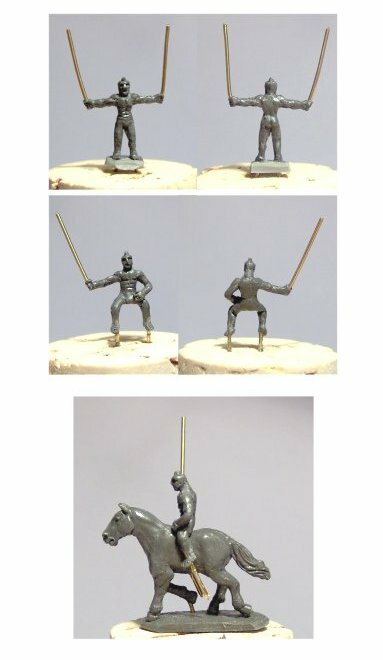 10mm Myceneaen / Trojan figures for Scotia Grendel. Some 10mm Dryads, sculpted for a Warmaster Wood Elf army project. 10mm dollies for Scotia Grendel. 1815 British line infantry and artillery crew, for Pendraken Miniatures.